What is a button patch? 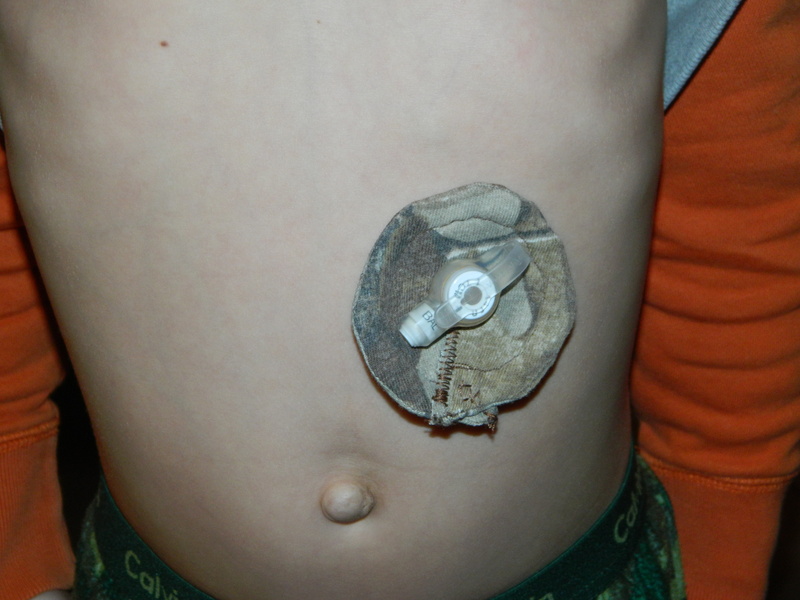 It’s a little circle piece of fabric sewn to fit around a feeding tube. The hole leaks. Not like a faucet, but stuff does come out. It’s disgusting. 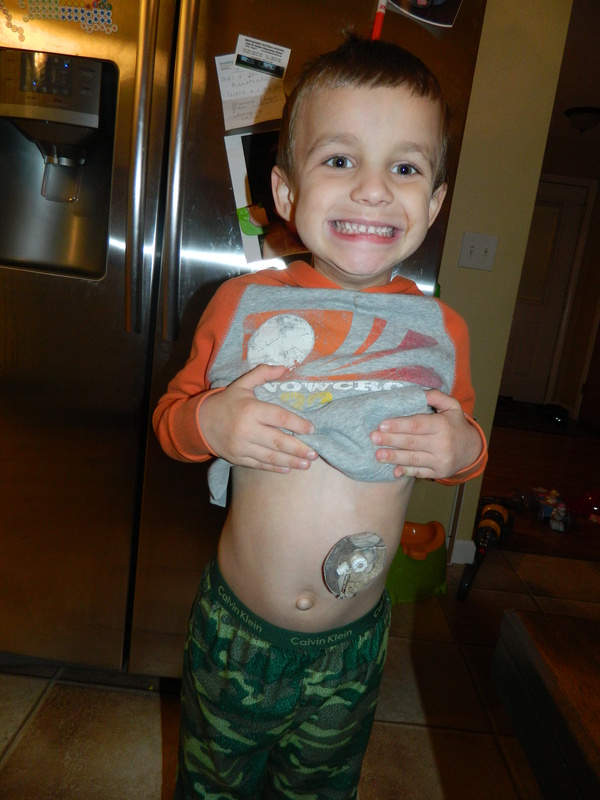 So people with feeding tubes will either wear a button patch or a piece of gauze around it if they chose. After buying Gage’s first batch of button patches from someone on Etsy I thought that looks so simple, I will figure it out and make him some. Almost a year later I finally gave it a shot. It was simple in theory. Execution was a little different. I’m sure part of the problem was that I used the wrong material. I had some camo material from one of Gage’s old t-shirts so I used that. It was too stretchy and flimsy. Most button patches are more stiff. I did figure out how it’s done though and I know what to do next time. It really didn’t matter to Gage what it looked like. He didn’t care that it was crooked and we didn’t have a fancy snap to go on it. He was just excited that I was able to make it and that it was camo. Made me happy too! Here’s a close up. Hopefully by this time next year I’ll be a pro with my own etsy shop!